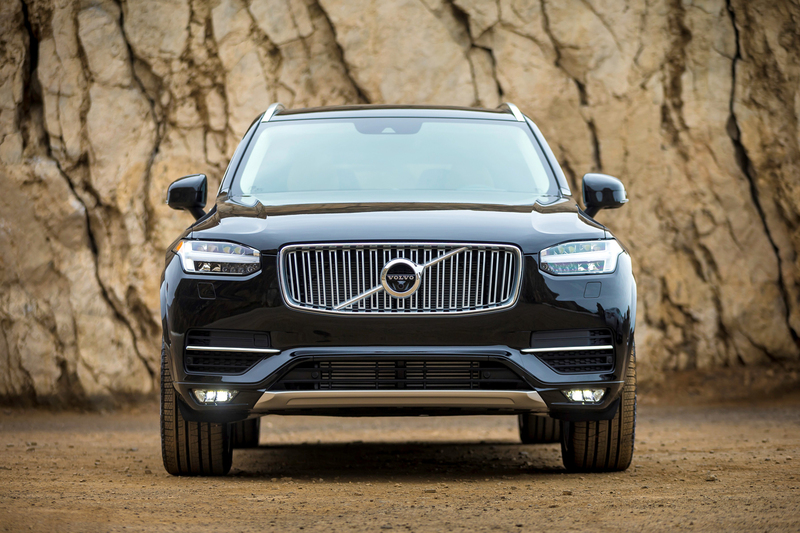 The new Volvo XC90 signals the rebirth of a brand. In retrospect, it makes perfect sense that the 2016 Volvo XC90 would be an absolute, uncontested, out-of-the-park home run. There was, and is, so much riding on the success of this SUV, the opposite scenario would be completely unthinkable, both for the Swedish manufacturer itself and for “Volvo-philes” around the globe. A few gentle reminders: The XC90, once the company’s most popular model in this country, hadn’t received a makeover in 12 years. In the car business—the speed of which is accelerating at a furious rate on a year-over-year basis—12 years is an eon, an interminable period that has the potential to threaten the very legacy of a vehicle or an entire brand. For Volvo, even the last five years have represented a challenge. In 2010, Ford sold the carmaker to another automotive conglomerate, Zhejiang Geely Holding Group of China. Over the course of these five years, there hasn’t been much to write home about in terms of new product as the company set about retooling for the future. This situation triggered rumours of continued financial problems and a troubled working relationship with the new parent company. Behind the scenes, Volvo insiders knew things were happening, but they were unable to talk about anything until the time was right. The clock was ticking away. Back in 2002, the then-new Volvo XC90 was well ahead of its time, and it became an unqualified success, helping to usher in our collective fascination with luxury SUVs. By the time 2015 rolled around, this reputation had helped ensure the vehicle never got long-in-the-tooth enough to appear toothless. Last year, as representatives for the company were quick to point out, faithful customers were still ordering the old XC90, despite being fully aware that it was a vehicle very much in need of updating. At long last, the 2016 Volvo XC90 has arrived on Canadian shores. And while it may be cliché to say so, it’s been worth the wait. The introduction for the XC90 has played out to perfection. 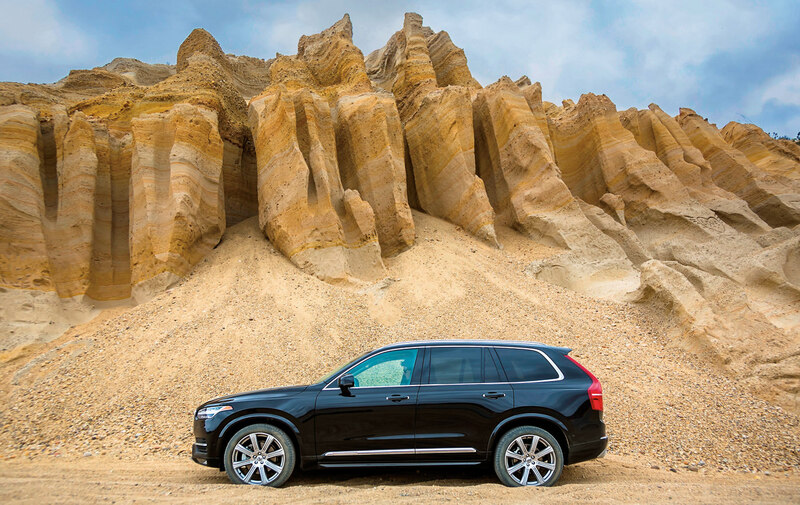 In August 2014, Volvo invited about 700 journalists from around the world to Stockholm for the global reveal. While this approach has been adopted by a number of manufacturers, it’s exceedingly rare that such an occasion would be infused with so much anticipation and such fantastic levels of drama. All the attendees were required to agree to a strict press embargo—naturally, this triggered one of the European outlets to break said embargo some six hours early; this development, in turn, forced all the remaining attendees to push XC90 stories out. (A different kind of Stockholm syndrome, one fuelled by crushing jet lag and decidedly strong Swedish coffee, took hold and held fast.) The embargo proved ineffectual for one simple reason—the new XC90 was a story worth breaking, no matter the cost and regardless of the apologies that no doubt followed. When the covers were first pulled off the new Volvo, it made an immediate and profound impact: what was clear was that the Swedish manufacturer and its Chinese parent company were dead serious about staying in the game and raising the stakes. The earliest of first impressions, furtive glances at the exterior design of the XC90 stolen from around camera lenses and through the glare of digital flashes, revealed a handsome, estate-like shape. Not revolutionary, granted, but absolutely correct for a brand with such a strong heritage in station wagons. The new XC90 bears a resemblance to current competitors in the SUV segment, including the Audi Q7 (around the front fascia) and Porsche Cayenne (the side-rear profile). The big differences, though, are the elongated hood and stand-up front grille, aspects that bring to the brand a masculine design ethic that has been missing of late. Within that grille is a larger Volvo iron mark logo framed by the T-shaped “Thor’s Hammer” daytime running lights. These latter design cues are so bold, they seem more suited to a vehicle far more ostentatious. If the exterior design of the XC90 hinted that Volvo was headed upmarket, the passenger cabin confirmed this notion. The tablet-sized touchscreen at the top of the centre console is smaller only than that of the Tesla Model S. This screen serves as mission control for the navigation system, audio system, and climate control, removing the need for scores of buttons and switches, clearing the way for an interior with a cool, minimalist vibe. The materials used to furnish the cabin—leather for the seats, metal and wood for the inlays and high-touch surfaces—continue this theme, blending together seamlessly to secure a Zen-like environment. 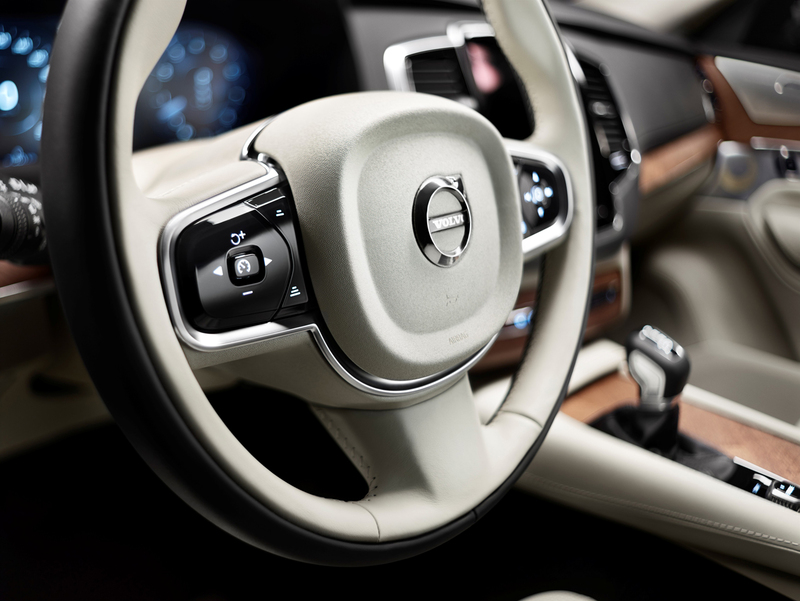 Depending on the version of the XC90 selected, notable touches include a diamond-cut start/stop button, a 1400-watt audio system from Bowers & Wilkins, and an optional crystal shift lever by Swedish glassmaker Orrefors. A few days after the global reveal, the very first versions of the Volvo XC90 were made available to potential customers around the world through a dedicated online portal. This initial public offering, dubbed the “First Edition”, was strictly limited in its production run—there were just 1,927 of them, the number chosen to correspond to the year Volvo was formed: 1927. For Canada, the First Edition was a fully loaded version of the XC90 T6 with every option in the Volvo order book. This model featured an onyx-black paint scheme, amber-coloured napa leather seats, numbered tread plates, a charcoal-hued dashboard with walnut inlays, and 21-inch aluminum alloy wheels. The price for the Volvo XC90 First Edition was $81,500—and the entire run sold out in 47 hours. The first models to arrive in Canada are the XC90 T6 and T8. The T6 features an all-new supercharged and turbocharged 2.0-litre 4-cylinder gas engine. The T8 adds an electric motor to the T6 powertrain; also called the Twin Engine, the T8 will be the world’s first seven-seat plug-in hybrid vehicle. While there are currently no plans to release either of the two diesel variants in Canada (dubbed the D4 and D5), we will definitely see an “entry-level” gas-powered model called the T5. The T5 will also feature a 2.0-litre, 4-cylinder engine; in this case, the engine will be turbocharged but not supercharged. The new XC90 is offered as a front-wheel-drive vehicle in certain markets; all versions earmarked for Canada will be all-wheel drive. When I drove both the T6 and the T8, a sense of calm assuredness quickly revealed itself. The new XC90 is not one of this new breed of SUVs that can climb a mountain one moment and rip up a racetrack the next. This is clearly not its mission in life. The steering is overly light. The seats are too comfortable. The roar from the engine is too muted. Instead, the new XC90 is all about transporting you and up to six passengers in quiet comfort, over deserted country roads or through gruelling city traffic, secure in the knowledge that you will arrive safe and sound. This knowledge serves to trigger an emotional response that drivers may well find completely foreign because it is so very anachronistic—that response is a feeling of inner peace. Speaking of safe and sound, the new XC90 will set a new pace for Volvo in terms of active safety. The vehicle will debut two world-firsts. The “first first” sees the front seat belts tighten and an energy-absorbing feature in the front seats activate automatically when the systems detect that the vehicle has left the road. The other first is an auto-brake feature that stops the vehicle when the driver mistakenly turns in front of an oncoming car at an intersection. The 2016 Volvo XC90 is a prestige SUV—one that dares people to look beyond the badge and reconsider what the Volvo brand is all about.